Last week the Washington Post published an article entitled, “A majority of millennials now reject capitalism, poll shows.” According to the article, “The Harvard University survey, which polled young adults between ages 18 and 29, found that 51 percent of respondents do not support capitalism. Just 42 percent said they support it.” At thirty years old, I fall just outside of that range. Nevertheless, the numbers reported in this study (margin of error 2.4%) are somewhat staggering. 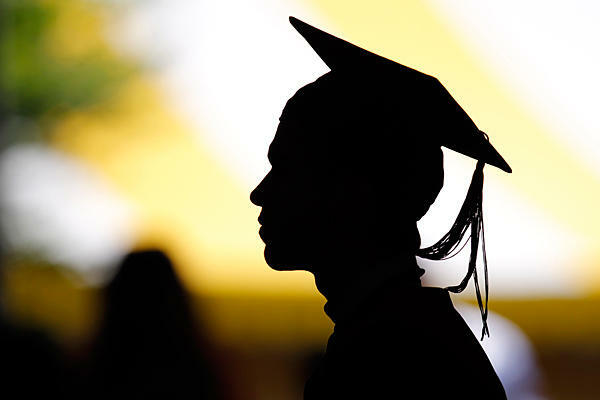 However, for the millions of high school students graduating in the next few weeks, it indicates a more liberal frontier of education – a heterogeneous mixture of right and left in our nation’s universities. Whether these beliefs are right or wrong, it raises an alarming question amongst our graduating high school seniors this Spring: Why do our nation’s young people feel that they deserve something from our government? Is it grounded in benevolence or entitlement? For those preparing to embark upon our nation’s universities and our nation’s polls, it’s a relevant question. They had glad and generous hearts. And that’s precisely our prayer for our young people today. What socialism often overlooks is one simple fact: this world owes them nothing. God owes them nothing. Government itself is designed by God as a servant of justice, “an avenger who carries out God’s wrath on the wrongdoer.” (Rom. 13:4) The danger of socialism, on the other hand, is that it often breeds a spirit of “Give me what’s mine.” What the Harvard study reveals is that a majority of young people today believe they are due income, healthcare, and even education simply because they are human beings. However, the Bible presents a different picture. Simply by being sinful human beings, God says that we’re “condemned already.” (John 3:18) We deserve nothing but death. And herein lies the danger of socialism: the expectation that we deserve something. Conversely, Paul writes to the Thessalonians, “If a man will not work, he shall not eat.” (2 Thess. 3:10) God has designed work in such a way as to eradicate presumption in our hearts. And He’s designed humans in such a way that we’re fulfilled when we work. This is historically why Protestants have been capitalists. For those able-bodied graduates who are leaving high school and getting a job, they should be expected to work. For those graduates leaving high school and going to school, they should be expected to study. Hard work builds character and eschews laziness. However, for all of the benefits of a capitalistic society, there are also its dangers. By no means should we hail capitalism as a sacrosanct institution. Sinners can warp anything into sin. Our nation’s graduates should be reminded that their hard work will never leave God in their debt. No matter how hard they work, no matter how committed they are, no matter how well-behaved their family appears, they will never earn God’s grace. Their character will never merit God’s love. Their integrity will never merit God’s favor. The Gospel declares that, without repentance and faith, capitalism leads to Hell just as fast as socialism does. The sinful “give me what’s mine” attitude isn’t just monopolized in socialism. It’s also prevalent in capitalism as well. Therefore our graduates should be reminded of a godly work ethic. Do we work with glad and generous hearts? Do we study with glad and generous hearts? The Gospel shows us just how much Jesus loves us. But it also shows us how incredibly sinful we are – how unworthy we are to call upon a risen Savior. In a capitalistic or a socialist America, if Jesus doesn’t make our graduates thankful people, then they don’t know Jesus. A Harvard survey says that a majority of our young people are looking to government as their savior. The church should gently remind them of Another.